My final project for my LIDAR class was to extract building heights using LIDAR collected after Superstorm Sandy for the City of Newark. Using LP360, I created a Point Cloud Task workflow to classify points within a set of building footprints. My final product included a DEM of the ground points and a DSM of the building heights. The following semester I took a remote sensing course using satellite imagery. I acquired a multispectral image that allowed me to do a simple NDVI vegetation study. 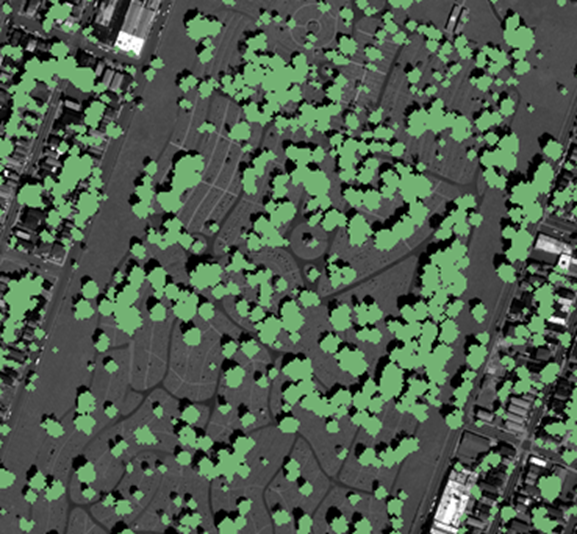 I thought to expand the study I could use LIDAR data to differentiate trees from ground cover. Going back to the original LIDAR dataset, I used the height filter Point Cloud Task in LP360 to assign unclassified points as high vegetation. I then used the software to create a new DSM from Ground and High Vegetation points. 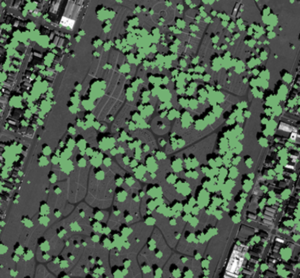 Combining this DSM with the NDVI information I had from my satellite imagery, I was able to differentiate trees from other vegetation as seen in Figure 1. I am very happy with the result. 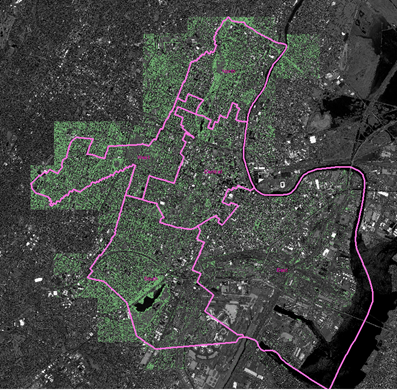 I will be using this data to study how the tree canopy varies in different parts of the city as seen in Figure 2. Thank you for allowing me to continue to use LP360. It is an excellent product. 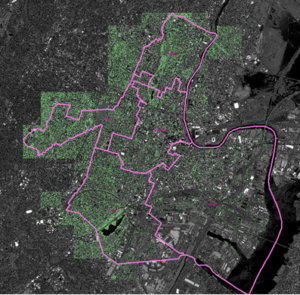 The training documentation is clear and relevant, and having a 64-bit version allowed me to process the LIDAR data for the entire city of Newark as one task. The Point Cloud Tasks have the right balance of automation with flexibility, allowing me to customize my workflow to fit my project requirements. It has been a great tool to learn. This entry was posted in LP360 Case Studies and tagged LP360, Point Cloud Tasks.